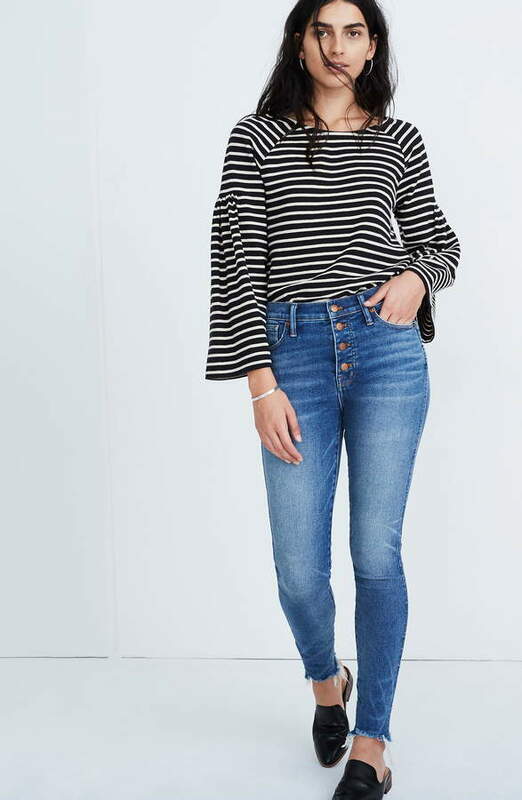 Ideal for tucked-in styling, these skinny-fit jeans start out with a snazzy button fly, finish with raw hems and rock a whiskered and faded look all over. Style Name:Madewell 10-Inch High Waist Skinny Jeans (Cordova) (Regular & Plus Size). Style Number: 5750859. Available in stores.